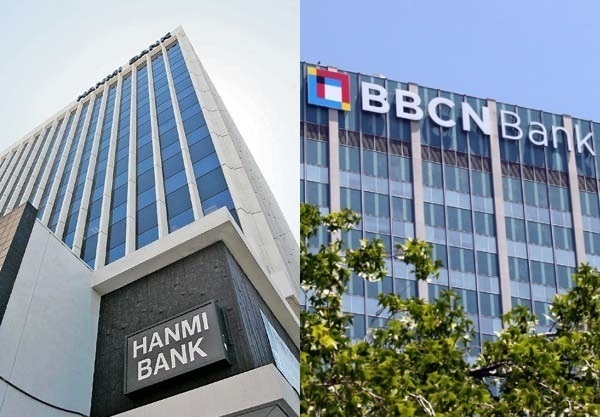 Hanmi Bank, the third-largest Korean American bank, has proposed a merger with BBCN Bancorp, the largest Korean American bank. The two banks’ combined assets would total $12 billion, putting it above No. 2 Wilshire Bancorp. Hanmi revealed this week that it has sent the proposal to BBCN detailing an all-stock deal. If merged under Hanmi’s suggestion, it would have 35 percent of the new bank’s share, and BBCN 65 percent. Hanmi Chairman Roh Kwang-kil wrote in the proposal that he felt publicizing previously private discussions of a possible merger between Hanmi and BBCN would help in moving the deal along, especially in letting shareholders know about the situation. Roh said merging would benefit both banks and their customers from the opportunities that comes with larger size. If merged, the new bank would have 97 branches and 1,536 employees across the country. The merger would also make the new bank the only Korean American bank with assets totaling more than $10 billion. Hanmi’s public announcement of the proposal comes after reports in September that BBCN and Wilshire had entered similar talks.